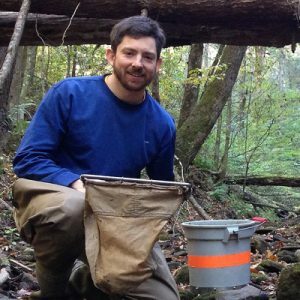 Ross Vander Vorste, former Postdoctoral Research Associate at the Virginia Tech Forest Hydrology and Soils Lab, has published a paper in Freshwater Biology. The paper is based on Dr. Vander Vorste’s work at the Schoenholtz Forest Hydrology and Soils Lab, and discusses how mining-influenced salinization of freshwater streams affects microbial and macroinvertebrate communities. The title of the paper is “Microbial and macroinvertebrate communities, but not leaf decomposition, change along a mining-induced salinity gradient.” Dr. Vander Vorste is currently a postdoctoral scholar at the University of California, Berkeley (visit his research website here). View PDF of paper here.